Absolution: Episode Five – “Monè” from Absolution TV on Vimeo. This is episode 5 of the IPTV show Absolution. Cassie is getting worse, and Adam and Jordan are proceeding with their plan, but not everyone is on board. This entry was posted on Monday, October 20th, 2008 at 1:32 pm by Nathan and is filed under Season 1. You can follow any responses to this entry through the RSS 2.0 feed. You can leave a response, or trackback from your own site. Hey guys, sorry about that, the comments were being messed up by the è in Monè. I fixed it. Also, the conversion failed without telling me last night, so I didn't know about it till this morning. All should be good now! Bravo! Another great episode. Already looking forward to the next one. Great work guys. That second flashback…. I had nightmares about that night for weeks afterwards… Lol. My only gripe is that there were too many cuts to black. (Btw: how did you manage to do the audio? Or DID you do it?) Which piano song is playing during the scene the group gets told the plan about the warehouse? Is that Charlie's piano song? I like the angles on Teddy and Charlie during that scene as well. Ah, the scene with Roeber and Jordan, amazing what on the spot writing can do. What happened to the audio for the final flashback? Cody looks like he has more hair in that flashback… lol. I guess you guys never got a chance to refilm that scene? Man, I really wish we could have had that FX for the eyes, that would've been so cool to have at that flashback. I liked how Charlie hit the door there at the end of his “fit”. Overall, not bad. I hope the last 2 are awesome though. wow, that scene with Cody getting up terrifies me!!! I also really really like the acting of Nathan and Stephen in that flashback scene where they're standing outside of the room with the infected in it. I have to agree that the screen was black a little bit too long between scenes. Good episode! I especially loved the flashback scenes. The lighting on the last flashback was superb. It was eery and I loved it. My only qualm was with the music being a tad bit overpowering during dialogue scenes. It fit the scenes perfectly, but was somewhat distracting. Well, after some delay I finally was able to soak up the fifth episode. I was once again VERY happy to do so! Teddy had a lamphat in the last scene. But I too, have noticed that the music tends to be a little louder than the dialogue. Perhaps you were going for this, but I had to crank up my speaker to hear. Good episode. Not my favorite, but good. 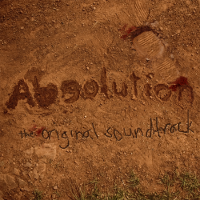 There was no intro “Absolution” sequence, was that intentional? I could barely see Lauren when I have my fit, in fact, some people in my family never saw her at all which took away from the power of the scene. I didn't notice the problem with the fade to black. Best rising star in this episode is Nathan. He improved his game a lot in my opinion. I agree the music was WAY too loud in most scenes and yeah, I didn't notice Lauren at all myself. By the beard of Zeus you're right! I can't believe I forgot that! I think I may actually re-edit this one to put that in, and fix the levels. This could be an absolution first. Could you say which parts were the worst offenders? I found a way to…minimize the background noise in vegas, but it's not perfect, or even as good as the old way. And it didn't work at all for the last flashback. I had to manually fix that one, which is why it sounds so bad. We probably should have tried to heighten the tension between Doug, James, and Adam. But I think it still worked. That scene is really annoying. That was the best I could find. Those should be pretty sweet. The lamphat was a result of the strain of getting that scene. That was the second to last scene we filmed, I think. I could be wrong. Regardless, we were burnt out, and it didn't really turn out so well. See if you can brighten up that scene with Ellie standing outside Doug's room. I'm sorry you think that. It's as much a rip off of I am Legend as that was of every other zombie movie ever made. We are just trying to make a show, set in a dystopian present, with zombie like things. But that is just the backdrop for our story, which is focused on the characters, and the relationships. I'm sorry you didn't like what we made. Hope you stick around and see where the story goes, because this is an IPTV show, and we have two more episodes left in the season. Haha, I'm interested in the infection mystery now. Good drama with the last flashback. Kinda funny with Josh's magically changing shirt, although even if you notice it it doesn't take away much. And also, I kinda laughed when Micah shot an empty soda can with a high powered handgun, and it just kinda tips over like the breeze blew it. XD I guess that would be kind of hard to make it fly off really fast. I concur with the music over dialogue thing, but I could see Ellie very well and the shadows kind of made it cool. Glowing eyes on Cody would have been freaky. Are the infected's eyes supposed to glow? They were originally, but I couldn't get the effect to work correctly. It looked REALLY bad. These are really great guys! My only suggestion would be to make the background music a little quieter. There were a lot of times that I had to replay a section to hear what people were saying. The music was awesome, a bit loud over the dialog, but still awsome! The flashbacks are cool, but I would suggest maybe putting even more detail into them if you do any for season 2. It always cool to know a character's back story, and the more detailed they are, the more real they seem. Even if there are just hints at things, at least it would sort of give a good feel for the character. Think more like Sunday, lol. But no way am I letting it get pushed back any farther. Hi guys, Nice job with episode 5, but any chance we'll see episode 6 today? WOW. That is simply all there is to be said. I'm not sure exactly what I was expecting when I finally surfed the site, but whatever my expectations were, they were absolutely blown to smithereens. For the tools and budget you guys have, you have turned out the best indie Christian entertainment I have seen since Facing the Giants. I am absolutely gobsmacked by the quality of what you have presented. No, its not a summer blockbuster, but the characters' drama has touched my heart and the action has kept me on the edge of my seat. I also have to say that reading the comments and seeing you guys articulate your message and deal with some well-meaning but misguided people has been absolutely amazing. I am impressed…no, I'm amazed…dang it, I'm running out of adjectives! You guys have a clear heart for the Lord, and I for one commend you 100%. You are the future of Christianity in America, period. Keep up the awesome work and never stop glorifying God in everything you create! Secondly, now that I have realized the extent of the project, my creative juices are flowing. Is there any way at all I can be a help to you guys? Just for the fun quotient alone, never mind the importance of the project, I would love to lend a hand wherever I can. I have a little skill in writing, but I'll try my heart out at anything. Thank you guys or everything you do. I'll definitely keep you in mind if we need someone to help out. I'm glad you like it so far.